HOLYOKE- Ismael Aguilar, 90, of Holyoke, passed away unexpectedly at Baystate Medical Center on December 4, 2018. He was born in Antioquia, Colombia on August 24, 1928, a son of the late Ismael Aguilar and Maria Piedrahita. He married Martha (Zapata) Aguilar, and the two spent 62 years of marriage together until her passing in 2013. Ismael worked for many years in the textile industry both in Colombia and Massachusetts. He enjoyed watching TV, soccer, the Red Sox, and traveling with his children. 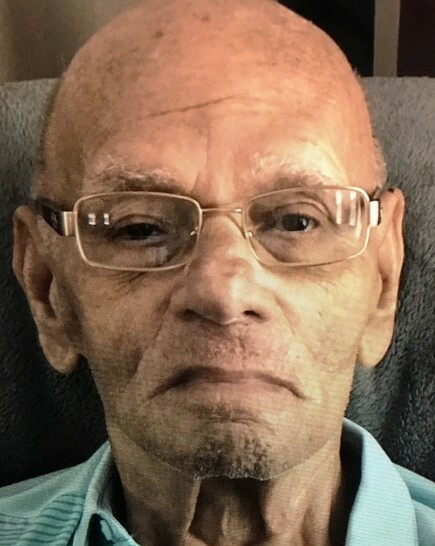 He will be missed by his loving children, Guillermo Aguilar and his wife Magnolia of Matthews, NC; Jairo Aguilar and his wife Rita of Holyoke; Luz Aguilar of Holyoke; Gonzalo Aguilar and his wife Angela Arbelaez of Agawam; Yolanda Bustamante and her husband Luis of Holyoke; as well as 8 grandchildren and 6 great-grandchildren. All services will be private. For more details please visit www.messierfuneralhome.com.